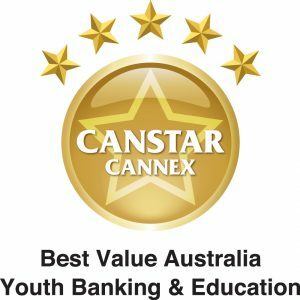 was awarded 5-stars for Youth Banking and Education. Read the testimonials from educators whose students have seen a Start Smart workshop. “On behalf of all the staff who were involved in the ‘finance lessons’ last week we would like to express our thanks to Raff. Her presentation was relevant and engaging for all year levels. The students found the workshops to be entertaining and provided specific information required for the appropriate year levels. All our teachers discussed the lessons and provided feedback at our last staff meeting. All teachers requested that we follow through the program in 2014 if it was available”. “I would like to thank Emily for the fantastic job she did with the Start Smart program at Woodend Primary School yesterday. The feedback that I have had from staff was very positive, so much so that I have registered the school for the program again next year. The staff told me that the lessons were fun and were highly engaging and age appropriate. When speaking to a few of our senior students their response was ‘it was awesome, it taught us a lot about financial literacy”. “The facilitator is an energetic and entertaining presenter and my year four class loved the session. The facilitator was highly informative, interesting, interactive and encouraging. She made learning fun and asked lots of questions, had relevant resources and the content was perfect for my students with great facial expressions and voice and characterised a lot of the parts. A big thanks to her for her energy and enthusiasm”. “Thank you for providing Randwick Boys High School with workshops that engaged students and provided easy to understand concepts and strategies specific to financial literacy and financial education. The presenter, Charles Genest was fabulous in connecting with students, engaging students in discussions and delivering information that was both useful, relevant and entertaining for the students. I look forward to working with you and your team in the future”. “Thank you so much for sending your staff yesterday. Our staff were incredibly impressed with their presentation. One of our student teachers stayed for the whole of the three sessions, even though she was not timetabled to do so, because she was enjoying them so much. She said she could not believe superannuation, taxation and banking could be so interesting. Could you please pass on my thanks to Jamie and Eva for the hard work they put in and the very professional and entertaining way in which they presented. I am extremely grateful. This is the second time you have come to our school and I shall certainly be inviting you back. Many, many thanks”. “Thank you for doing the Start Smart sessions. The students enjoyed them and learned a great deal from it. Lucy was wonderful and the students really like her. I will be advertising your Start Smart sessions to the other departments in the school, especially the maths and business departments for future reference”. “A very humorous and engaging way of delivering an important message on managing money. I would like to see all 3 year levels sit through this workshop”. “Particularly enjoyed the sections about ‘Good Debt and Bad Debt’ and throughout students found it relevant and interesting”.